A subtle hint of colour. 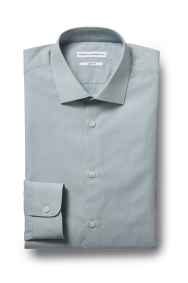 With its understated green shade, this shirt will bring some colour to your suit without being too bold. It’s a sharp item as it’s cut in a slim fit that sits close to your body for definition. 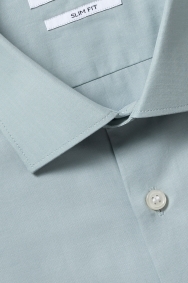 The 100% cotton material means it’s soft and breathable, making sure you feel comfortable while you look sharp. Team with a navy suit and leave it open necked. A contrasting blue pocket square will complete the understated look.